If you think Google (GOOG) co-founders Larry Page and Sergey Brin, Amazon.com (AMZN) chief Jeff Bezos and music producer Sean Combs have much in common, you're right. They can all thank Maria Montessori (1870-1952), at least a little, for their success. Montessori's philosophy toward child development and learning lets children pursue their interests as they evolve, instead of forcing them into a strict regime. Given the above examples, it's no surprise this style of teaching is a popular method used in schools around the world. Other Montessori alumni include Julia Child, Thomas Edison and Henry Ford. "Some of these famous people have attributed Montessori to their ability to think outside the box," Kathy Roemer, board president of the American Montessori Society and executive director of a trio of Montessori preschools in New York City, told IBD via email. "Montessori offers environments that are stimulating, safe and nurturing, where children are comfortable taking learning risks. "In addition, mistakes are considered opportunities for learning to take place. Children are able to enhance the abilities they are born with while exploring other areas of challenge." That may be a reason the Montessori method thrives globally. The International Montessori Index, which provides school and training center information, estimates a worldwide presence of 7,000 Montessori institutions. "Montessori remains especially relevant today," Virginia McHugh Goodwin, executive director of the U.S. branch of the International Montessori Association, said via email. "Neuroscience consistently proves this, and science has finally caught up with Montessori. It is a brain-based developmental approach to learning." The first female doctor in Italy; founded an education system called the Montessori Method, still widely used. "Montessori laid the foundation for self-discipline, creativity, independence, self-confidence, problem solving and focus, all qualities of executive functioning of the brain. These qualities are those cited to be successful today," said Virginia McHugh Goodwin, executive director of the International Montessori Association of the United States. 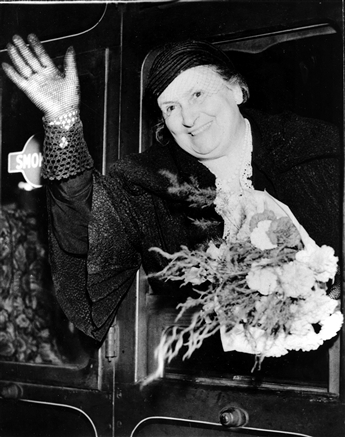 That Maria Montessori discovered a new way of teaching and built it into a viable business was no surprise, given her strong will. Even at elementary school in Rome, she took on a leadership role, finding activities for younger kids to do and making up games. Maria loved math and science. By the time she was 12, she'd decided to become an engineer. Her accountant father, Alessandro, strongly opposed. Girls back then became teachers - if they worked at all. But her mother, Renilde, understood Maria wanted to break away from the old-fashioned ideals. And like Maria, she was persistent. "She finally persuaded her husband to allow their headstrong, talented girl to follow her dream," Marie Tennent Shephard wrote in "Maria Montessori: Teacher of Teachers." "Both mother and daughter had the same stubborn streak. Alessandro was no match for them." In 1883, 13-year-old Maria enrolled as one of two female students at a technical school. She graduated three years later, then attended another technical institute for further learning. While there, she changed her aim to medicine. Her father balked. Another hurdle arose when the head of the University of Rome's medical department told Maria a medical school would never admit a woman. She enrolled for premed classes anyway - then wrote letters, sent referrals from teachers and asked friends for help to gain acceptance to a med school. Her persistence paid off. That year she became the first female medical student at the University of Rome. She heard grumbling from the male students. But by the second year, she'd won them over with her pluck and drive. On July 10, 1896, 25-year-old Montessori became Italy's first female doctor. The University of Rome hired her as a children's doctor. She also became an assistant doctor at the university's psychiatric clinic, where she observed mentally disabled kids. After researching, she realized they needed special education, not medical treatment. Word spread about Dr. Montessori's findings. Italy's public education minister asked her to give lectures to Rome's teachers about how to educate children with learning disabilities. By 1900 she was a director of the Orthophrenic School, founded to help educate mentally disabled children. She taught pupils via simple motions like using a spoon or walking on a straight line. She also focused on the senses - vision, smell and touch - to help kids learn to read and write. Within two years, some of them could pass a school exam. The doc thought her methods could help normal children too. She studied philosophy and psychology and sat in elementary school classrooms to observe what the pupils were learning. "Maria Montessori was a scientist who used her uncanny ability of observation to determine how children learn through discovery and doing," Roemer said. When asked if she would take care of 50 preschoolers at a slum in Rome, she jumped at the chance to try her method on normal kids. To help foster independence, she had child-size furniture built. Cupboards, chalkboards, shelves and washstands were placed at children's height. And in 1907, Casa dei Bambini (Children's House) opened, offering free care to working parents of 2- to 6-year-olds living in the tenement. To teach using the senses, she filled bottles with scents (smell and taste) and boxes with sand and stones (sound and touch). "The Montessori method uses the senses, through which all information travels for young children," Roemer said. "Her use of hands-on materials reinforces the discoveries the children are making as they are learning." The kids preferred her creations, such as knobbed cylinders and wooden dressing frames to practice lacing, tying bows and fastening hooks, to traditional toys like dolls and balls. They learned on their own how to build, sort or arrange objects the right way. This helped them gain independence and self-confidence. Montessori let them learn at their own speed. Within a few weeks, they'd blossomed from anti-social, rebellious children into happy, well-behaved students who wanted to learn. Next Montessori taught them to read using homemade letters, which they arranged on a mat to form words while learning the sounds of each. "A skillful Montessori teacher is trained to continually assess what stage a child is at in their development and to map out individualized pathways inside the classroom to meet each child's needs," McHugh said. "Children thrive in Montessori because their developmental needs are consistently met and satisfied, enabling them to become joyful and successful learners." The school was such a success, another opened in April 1907 in a nearby tenement. More Montessori schools soon sprouted up throughout Rome, then beyond. Queries poured in from around the world, asking about her method. She immersed herself in her work, training teachers and creating classroom materials. Soon she was earning enough money to support herself and her family off her book and course proceeds. The Montessori method became a thriving business. In 1911 McClure's Magazine featured her teaching method, piquing the interest of Americans. A year later telephone inventor Alexander Graham Bell and his wife helped form the Montessori American Committee, which organized the first international training course in Rome. Montessori came to America to promote her method. She gave a lecture to a packed room at New York's Carnegie Hall. She concluded: "The development at which I aim includes the whole child. My greater aim is the eventual perfection of the human race." In 1929 she formed the International Montessori Association in Amsterdam to supervise schools worldwide and maintain control of her method and materials. She died at age 81 in Noordwijk, Holland, where she was buried.